Along San Francisco’s Valencia St. two-thirds of merchants said that new bike lanes had a positive overall impact on their business. Two-thirds of the merchants also supported more traffic calming measures on the street. A 2009 study of Bloor St., a commercial street in Toronto, Ontario showed that encouraging bicycling is good for business: people who had biked and walked to the area reported that they spent more money in the area per month than those who drove there. 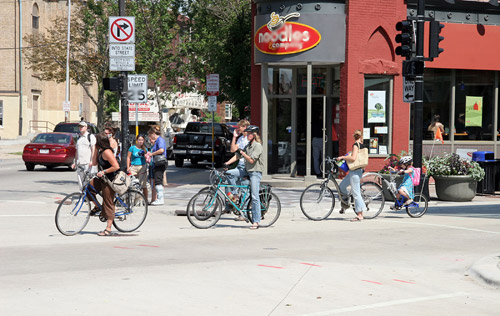 The study concluded that the addition of bike lanes would be unlikely to harm local business and predicted that commercial activity on the street would increase. In Memphis, TN, bicycle lanes are part of the city’s Broad Avenue Arts District initiative. Since the beginning of the project, the district has seen 16 new businesses, 29 property renovations (17 at blighted locations), and 40,000 visitors to the Arts Walk. 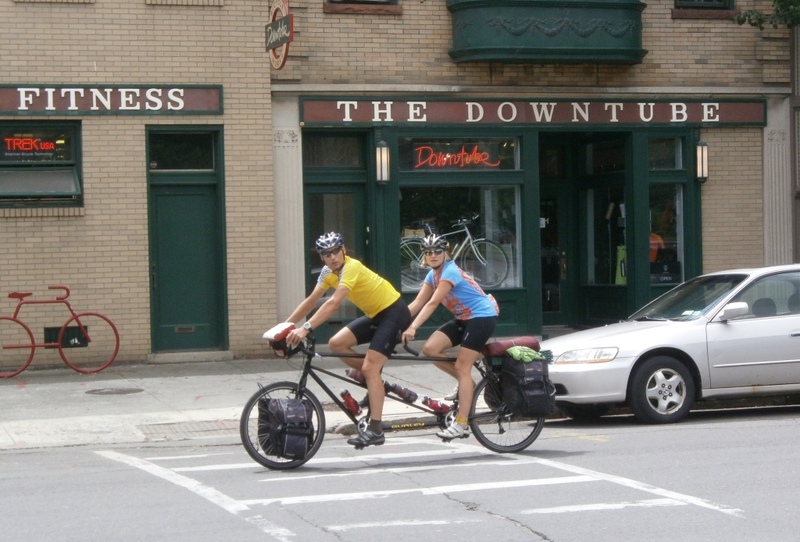 Restaurants have reported a growth in business from bicycle riders. Moore’s Bicycle Shop in Hattiesburg, MS saw a dramatic spike in sales after the Longleaf Trace multi-use trail was built in 1994. As a direct result of this investment in their local community, that one small business has generated an additional $175,000 in sales tax for the state, of which $31,500 (18 percent) was returned to the city of Hattiesburg. Bike facilities can also have positive, statistically significant impacts on home values. A study of home values near the Monon Trail in Indianapolis, Ind. measured the impact of the trail on property values while controlling for other variables. Given two identical houses, with the same number of square feet, bathrooms, bedrooms, and comparable garages and porches one within a half mile of the Monon Trail and another further away the home closer to the Monon Trail would sell for an average of 11 percent more. I don’t think the question should be whether we can afford the Madison Avenue Traffic Calming project, but rather is whether we can afford not to do it.